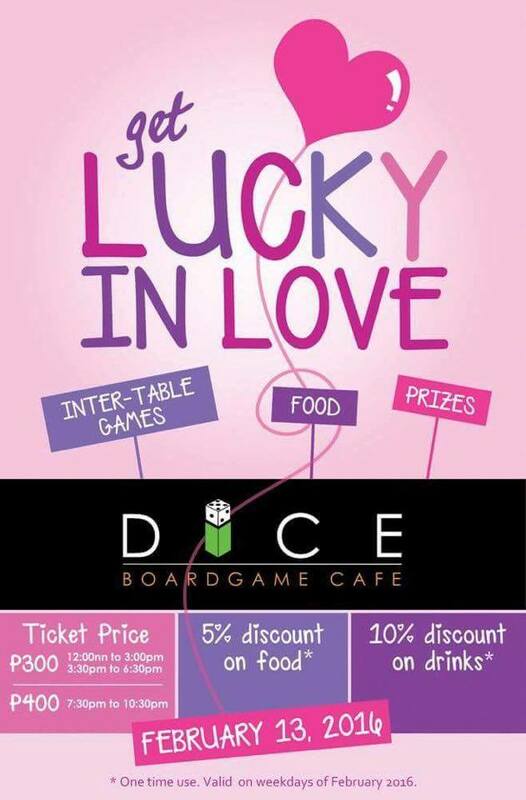 Celebrate fun, love and laughter with family and friends in our one-of-a-kind “Get Lucky in Love” Pre-Valentine’s Social Mixer which will be held at Dice Boardgame Cafe on February 13, 2016. Tickets are available at our cafe and sold at P300.00 and P400.00* consumable per person. We will have inter-table games and will be giving away special prizes! In addition, as our Valentines Gift for everybody, the ticket can be used as a discount card on your next visit**. « Chef Doy’s Kapag Chumibog ang Puso!